Klein Bikes was a bicycle company founded by Gary Klein that pioneered the use of large diameter aluminium alloy tubes for greater stiffness and lower weight. 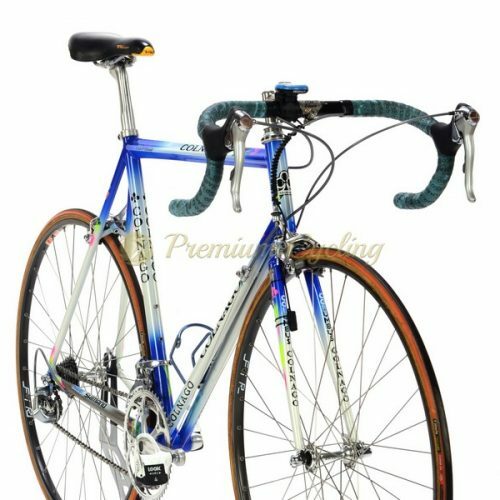 Klein produced his first bicycle frames while a student at the Massachusetts Institute of Technology during the 1970s, and full production runs of frames began in the 1980s. In 1995 the company was purchased by the TREK Bicycle and the original Klein factory at Chehalis, Washington, closed in 2002 as production moved to the Trek headquarters at Waterloo, Winsconsin. Team Gerolsteiner was a German based professional cycling team sponsored by the mineral water company Gerolsteiner. 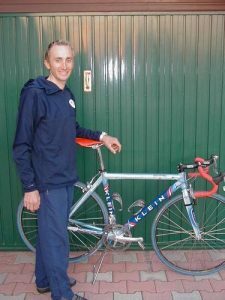 In 2002 they were sponsored by Klein as bike provider. According to M.Holczer (Team manager), his team used “95 percent” standard Quantum Pro bikes, made of US-made ZR 9000 aluminium alloy frame with carbon fibre seatstay and forks. They had strong riders on board like D.Rebellin, G.Faresin, G.Totschnig, F.Wegmann, U.Peschel and O.Pollack among others. They won 30 professional races that year. 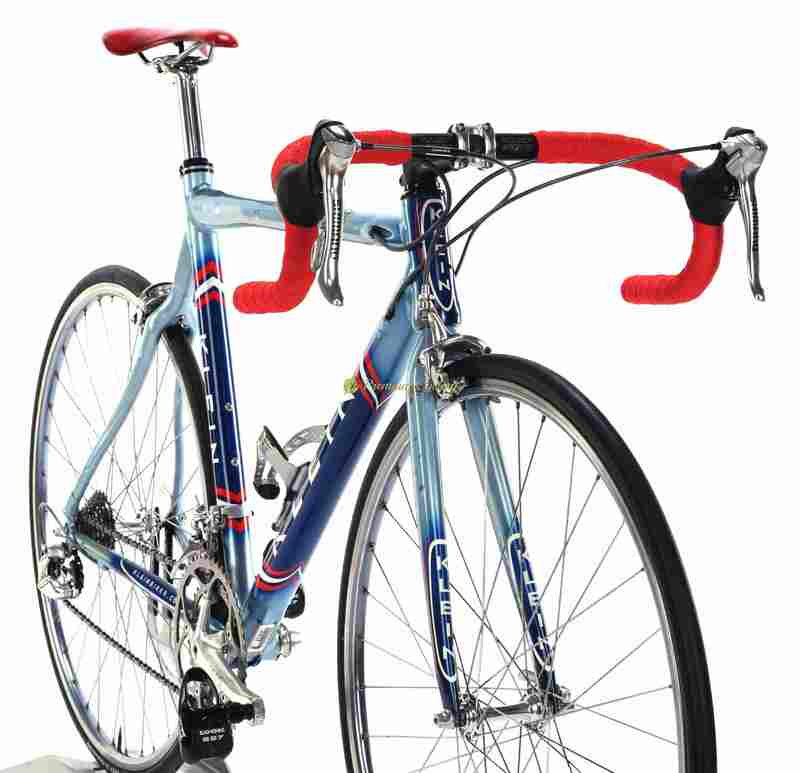 Here we are presenting beautiful US made racing machine – KLEIN Quantum Pro which dates back to 2002. The superb frameset is shinning in beautiful Team Gerolsteiner paintjob, equipped with Shimano Dura ace 7700 (Team edition) groupset, Ritchey WCS cockpit, Selle Italia SLR saddle. The bike is ready for some seriuos riding or just to bring back early 2000s memoreis. Condition: Used, but good condition. Some signs of normal use. No cracks, not bent. Tiny dent on a down tube. Original paint and decals. All parts are working fine. * Shipping worldwide available. Due to copyright reasons the photos are in lower resolution and marked with watermark. If you are interested in buying, have any qurestions or would like to request a full HD photo album of the bike please feel free to contact us.